FAST QUOTE for your Thermal Oxide Needs! We have Wet and Dry oxide from a few ansgrstoms thick up to 20 micron thick. 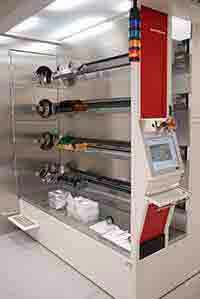 We can deposite nitride, or metals onto the oxide layer in small quantities and large. 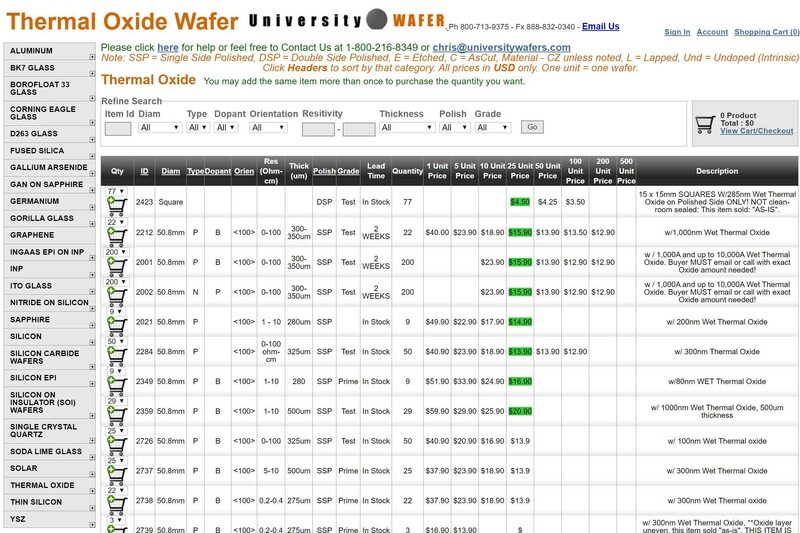 Below you'll find some of the Thermal Oxide Coated Silicon Wafers in stock at our online store. Buy online and save! How is Thermal Oxide Applied to Silicon Wafers? Wet Oxidation Grown - Wave guides technology and Silicon on Insulator wafers (SOI) can benefit greatly from our thick Thermal Oxide layers. We provide thermal oxide up to 15um in thickness. Grown on both sides of the wafers by default. Deposited CVD - When you cannot oxidize Silicon, then you can use Chemical Vapor Deposition to deposit the oxide on top of your substrate. What are the Factors Effecting Oxide Growth? Lattice Orientation (oxide grows faster on (111) oriented wafers then (100) oriented silicon wafers. Click here for our thermal oxdie growth calculator. Let us know which Key Word you use to find us and we'll discount your order! Other specs thermal oxide thickness available. Please ask! all wafers will receive a pre-furnace clean. receive the highest quality film. Dry Cholorinated Thermal Oxide can help your devices to perform to its highest potential by eliminating metal ions.